Litotes is sometimes the whole point of the discussion. Interesting avatar, palimpsest -- does it symbolize anything, or it's just some picture without any special meaning? So what the deal is with the candy kiss effect? Obviously Cho was someone that makes this nation's access to guns somewhat suspect. However, as I think it was noted above, this was one disturbed and crazy not so nice person. If not a Glock, why not a pipebomb or something equally destructive? I guess it's something to do with the notion of matter and antimatter merging. Reverends Michael Fleger (left) and Jesse Jackson march Monday with supporters to the Markham courthouse. The ministers attended a hearing on charges of trespassing in a June protest at Chuck's Gun Shop in Riverdale. Surrounded by ministers, anti-gun activists and two mothers who recently lost a child to gun violence, Reverends Jesse Jackson and Michael Pfleger said Monday they will keep the pressure on a Riverdale gun shop, even as they head to trial on trespassing charges. The ministers spoke outside the Markham courthouse, where they appeared on charges of trespassing stemming from a June protest at Chuck's Gun Shop and a confrontation with owner John Riggio. At Monday's hearing, which lasted just a few minutes, attorneys for Jackson and Pfleger asked for a jury trial, and a date was set for Nov. 26. We were not guilty of trespassing," Jackson said to several dozen demonstrators Monday. "We're guilty of trying to stop the gun flow." During the confrontation, Riggio complained to police about the ministers, and they were taken into custody. Jackson and Pfleger continued to criticize gun laws as lax and gun manufacturers and sellers, whom they blame for violence in Chicago. "We want sensible gun laws," Jackson said. "You don't hunt with M-16s. You blow holes in tanks with those weapons. They were built just to kill people." In recent months, Jackson and Pfleger, who have called for a statewide ban on assault weapons, have been holding rallies and demonstrations to highlight the toll gun violence has taken on Chicago youths. Assault weapons are banned in Chicago, but the ministers say the law is useless because people buy them at shops, like Chuck's, in the inner-ring suburbs, then bring them into the city. 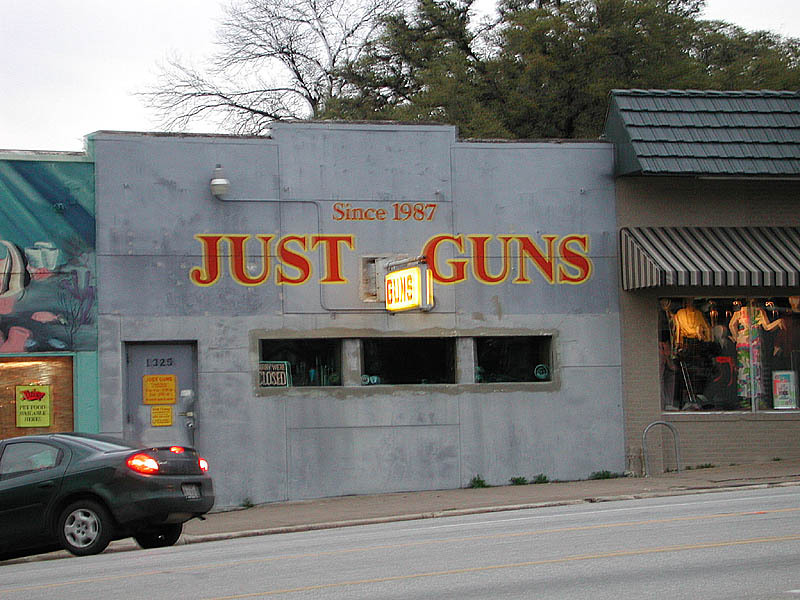 "They don't manufacture guns in the ghetto," Jackson said. "They make the guns, they grow the drugs ... We go to jail and get killed from them." Pfleger said the arrest was an attempt to intimidate them. "We're not going anywhere. We're going to step it up," he told supporters. Riggio appeared at the hearing but did not speak. He declined to comment afterward. Also present was Clara Allen, mother of a 21-year-old Northern Illinois University student who was fatally shot July 20 on the South Side. Allen said the death of her daughter, Dominique Willis, while she was home on summer break, has spurred her to get involved. "I will not quit," she said. "I lost my child. When will it end?" Annette Nance-Holt, the mother of Blair Holt, spoke to the same issue about her 16-year-old son, who was gunned down on a CTA bus in May while trying to save a friend. His murder, which occurred in the early afternoon, caused hundreds of leaders and residents to rally for solutions. "We shouldn't have to live with gun violence," Nance-Holt said. "No one should have to be in and out of court because their child was killed. I'm here to keep that from happening, if I can." So how did it go, Elaine? M-16s blow holes in tanks? That's some M-16. This violence will only stop when fathers start raising men and stop abandoning their children. Murders rarely come from intact families, the college murders excepted, but then, more people are killed daily in major US cities than in Iraq. Why? LOL, I Still Have, I know what ya mean!